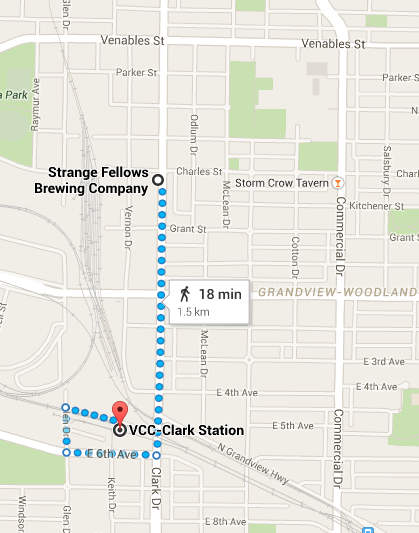 Beginning from VCC Clarke station, we have a sub 18 minute walk to our first stop Strange Fellows (sorry goole no one is going to go on that goose chase you’ve mapped out)… Grab some Nocturnum. 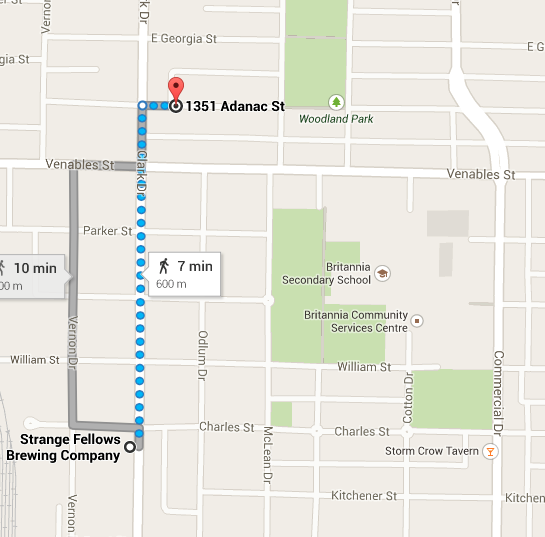 Following your Jongeleur, take a short 7 minute walk over to off the rails where you can sample some new fair. This walk is a bit of piss! 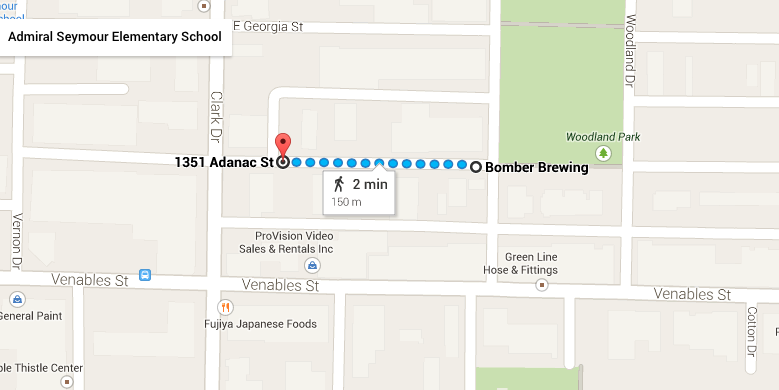 grab some ESB at Bomber! So what do we know about Off The Rail? Well i scoured their website, which is in fact really good for a brewery that hasn’t opened. First of all the owner, and perhaps brewer, is a current, or former, owner of the Railway Club; hence the name. Without having spoken to the brewer it looks like there will be an emphasis on traditional styles with an eye to english beer specifically. I mean a pale ale that emphasizes golding hops? Whats old is new again. Of note though is the mention of two row rather than maris otter which makes it more North American. “English” peppers the seasonal list too, so as someone who got into beer through traditional english ales this is quite exciting. Here’s the bad news, Silence from Off the Rail since December despite claiming to be open in late fall. I hope all goes well and we are tasting their beer soon. In any case this area will make for exciting Sunday Adventures. Silence probably comes from not passing all inspections or not getting the correct licensing. interesting, as pictures show takes in.